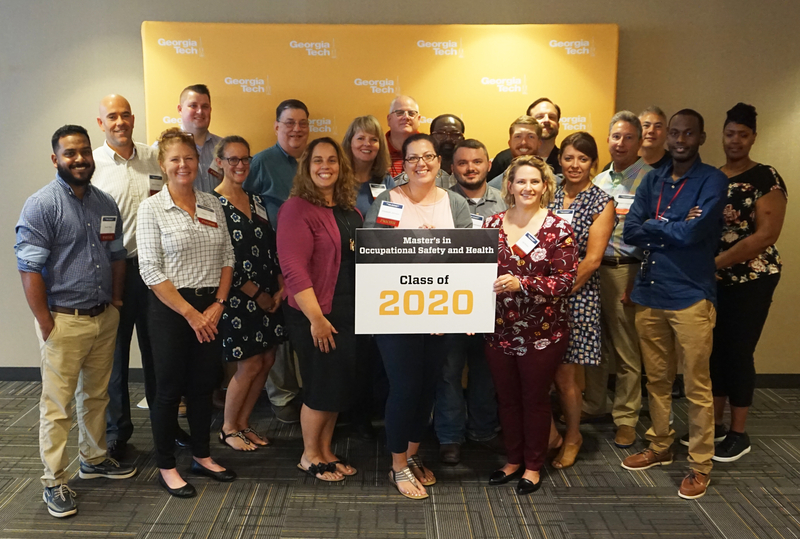 Members of the Professional Master’s Occupational Safety and Health (PMOSH) Class of 2020. The Georgia Institute of Technology’s Safety, Health, and Environmental Services program (SHES), welcomed its second cohort to its Professional Master’s Occupational Safety and Health (PMOSH) program — the only offering of its kind in the state. The 21 students who comprise the cohort will spend two years studying for the degree, which SHES is offering in partnership with Georgia Tech Professional Education. The students represent a wide range of industries, including aerospace manufacturing, food production, retail, construction, and biotechnology. Launched in 2017, the PMOSH degree is designed to give individuals ascending to leadership positions with the knowledge and skills needed to define and effectively manage safety and health programs in a wide range of organizations where they can have a positive impact in the well-being of the labor force. Define and describe the principles of managing safety and health. Analyze the attributes of an organization with respect to safety and health and identify gaps that warrant improvement to attain better safety and health performance. Design and implement an action plan to improve and sustain the highest level of safety and health performance. Apply the analytical, technological and business concepts necessary to measure, improve and sustain safety and health performance. Demonstrate the value proposition of effective safety and health management within an organization.